...and that it is! Who doesn't love Friday's? I am sure there are people who don't love it but I do! It means I have the next two days off... and it means a week from today I will be driving to Miami to get on a cruise ship the next day! I can't wait for our vacation! Although I love my job and my life... I am very excited to have someone else cook, plan my day and really just be pampered. Ironic... I was starting to do the lesson plans for my week off and I made my student's homework sheet - one of their spelling words is "cruise". They can think of me while I am on my cruise! Anyway, we have a sketch over at Fab Friday and I am in love with it! I can totally see myself using this sketch for a Christmas related card. I decided to do fall because the fall "time window" will go fast! As I was telling Justin Krieger the other day, I LOVE fall! I am sure you know that about me, but this Michigan girl LOVES FALL! Wait, let me say it again, I love fall. Okay, now you totally get my love. But in Florida, there isn't a fall like up north. So I must create lots of cards to remind me of fall days in Michigan! 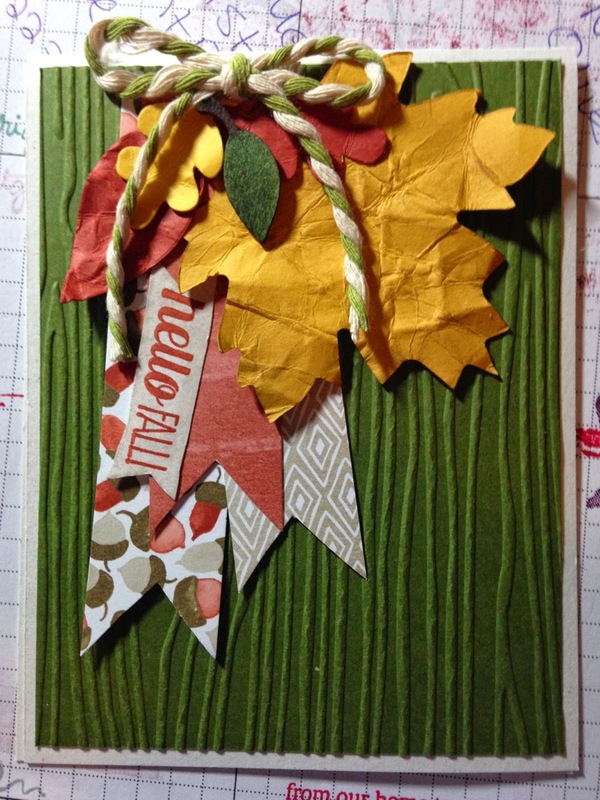 I really love how the card came out... and it totally reminds me of fall with the acorn and crumpled leaves (don't you just love the wood elements that I used?). Cajun Craze is the ink color that I used for the flag along with Mossy Meadow (background) and Crushed Curry (leaves). The sentiment is from the "For All Things" stamp set... it's hard to tell but the background of the sentiment is also a stamp from the set! The top version is my final version... although I really like the version below (a bit different). Sorry for the messy background in the picture but I wanted you to see what the other version looked like! 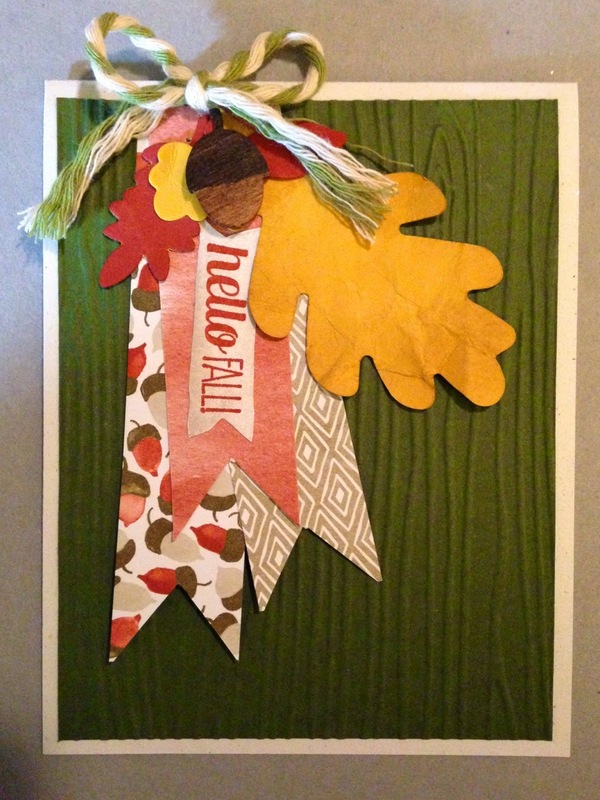 The banners are from the Color Me Autumn Designer Series Paper pack. I hope you enjoyed my post... I will be back later with another post for Stylin' Stampin' INKspiration!